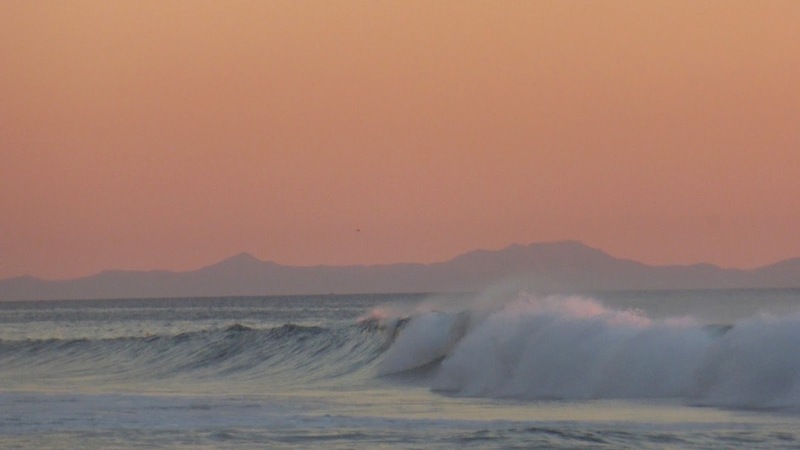 Anyone in pursuit of marvels in Malibu need look no farther than the horizon this week. The unseasonable warm weather combined with cooler water temperatures has created a host of fantastic castles in the sky. This type of mirage, known as a Fata Morgana, transforms the coastline, islands, container ships and clouds. Objects on the horizon are warped, twisted, spun into impossible spires and mesas or set adrift to float above the sea. Morgan Le Fay's name appears to have only been attached to the phenomenon in the 18th century, but the idea of a mirage as the work of a sorceress or sea goddess in Western culture has its roots in the Mediterranean. The Sirens of Sicily have a long connection with this type of mirage. The spectral castles visible when conditions are right in the Straits of Messina were once said to be created by magic to lure hapless sailors to their death. Here's a moody Victorian version of the sorceress, painted by Edward Burne Jones. Morgana first appears in the Arthur mythos in the 12th century, but like many of the characters in the King Arthur cycle of stories, she is thought to be borrowed from much older mythology and may have have originated as a Celtic sea goddess. JESUIT PRIESTS AREN’T especially known for their heavy drug use, but it would seem that Father Domenico Giardina was tripping pretty hard on August 14, 1643. Looking out over the sea from Messina, Sicily, Giardina saw “a city all floating in the air, and so measureless and so splendid, so adorned with magnificent buildings, all of which was found on a base of a luminous crystal.” The metropolis suddenly transformed into a garden, and next a forest. And then in a flash it all descended into chaos. Huge armies sprang forth, as did the towns they had laid waste to, before the whole mess disappeared." 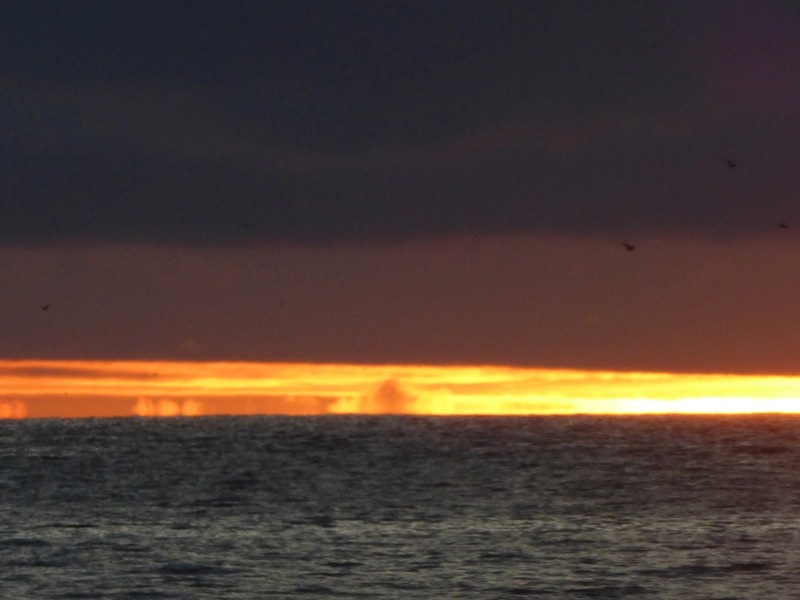 In Iceland, where arctic water temperatures frequently generate mirages, the Fata Morgana is known as hafgerdingar, or sea hedge. The hafgerdingar was also thought to be a supernatural phenomenon, one with the potential to wall ships in. 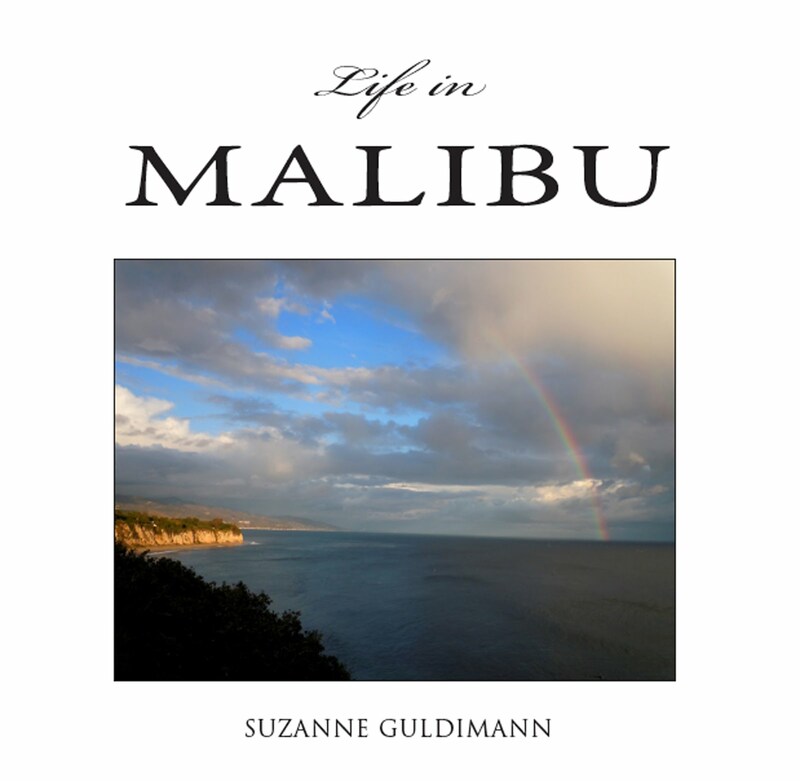 Malibu's Chumash were familiar with the phenomenon. 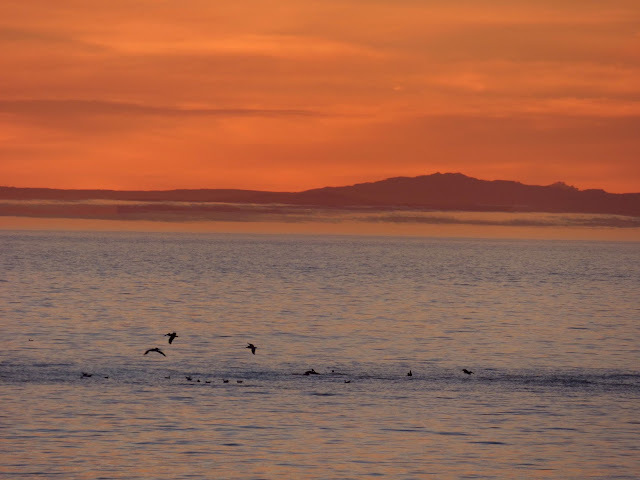 Anacapa, the only island in the Channel Islands chain that has retained its Chumash name, is said to mean "Island of the Mirages." The technical term for the Fata Morgana is a "superior" mirage, because the illusion is projected above the object that is the source of the image. 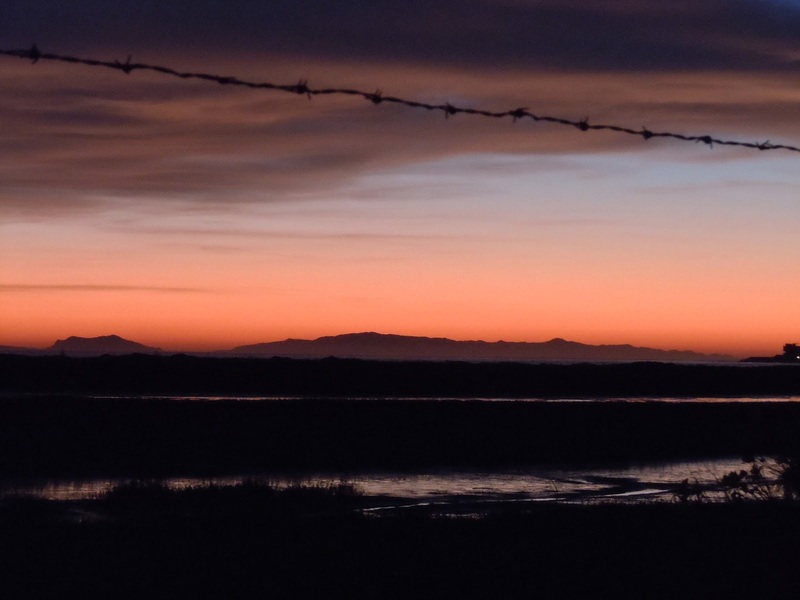 There are also inferior mirages—visible under the object, like the illusion of water in the desert. When conditions are right, both types of mirage can occur at the same time. The superior mirage is a complex image made of many layers of reflections, some inverted, others right-side-up, created by refraction. Light bouncing off an object like a ship or island is bent by the lens of air trapped between the cold air and the warm air. This duct of air creates a sort of fun-house mirror that distorts the reflections, stretching, twisting and multiplying them. 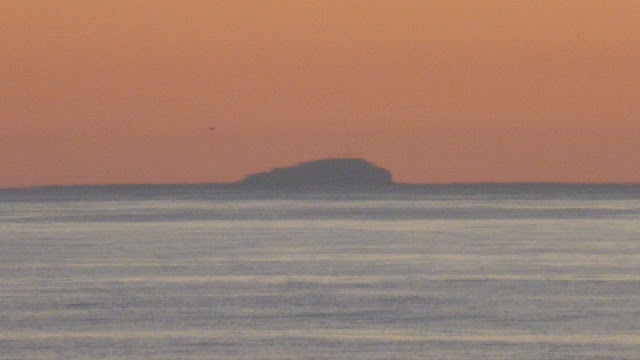 Only the highest point on tiny Santa Barbara Island, the smallest of the Channel Islands with just one square mile of land, in visible on the horizon at sea level. 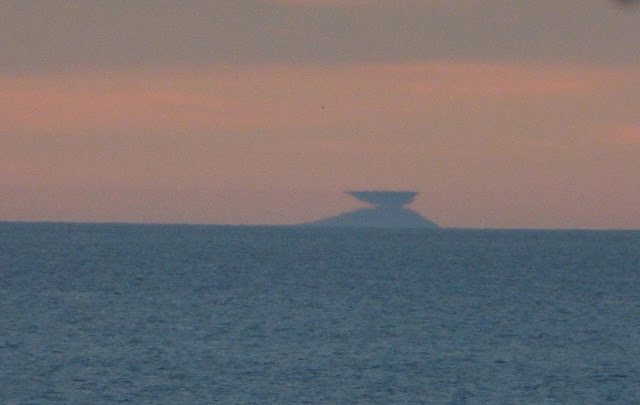 On a clear day without atmospheric distortion it resembles a passing whale, but when conditions are right and Morgan le Fay casts her spell this island becomes a very strange place. The temperature inversion—warm air over cold air layer—causes light rays to appear to bend, generating a mirage that is inverted and above the actual island, hence the name "superior" mirage. 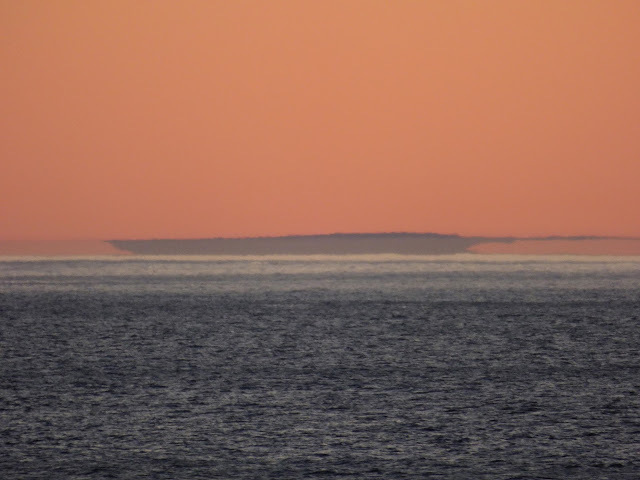 This mirage is actually an inverted reflection of the island. 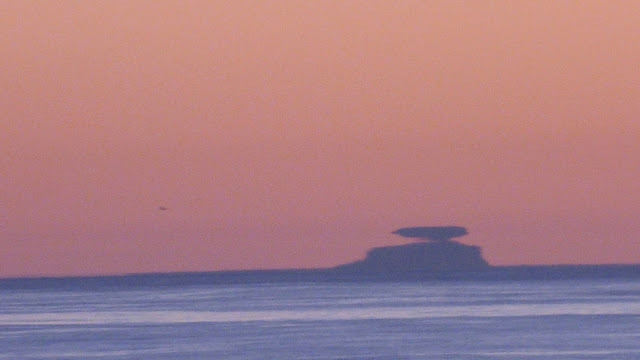 Fata morgana mirages can appear as complex layers and often change rapidly. 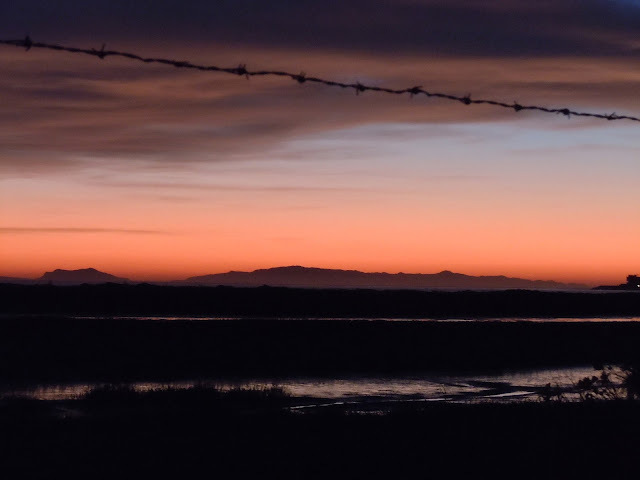 This is the same view of Santa Barbara Island, a few seconds later. A minute later, the mirage no longer resembles the island at all, it's been stretched into an elongated swordfish shape. 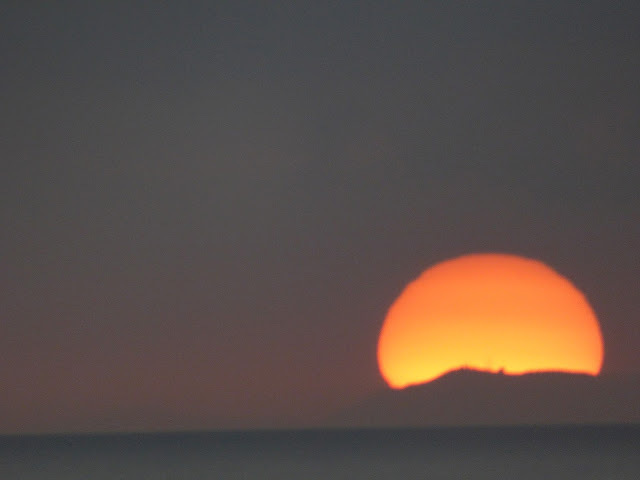 Here's Catalina Island on a relatively clear, cool evening. Add the inversion layer, and suddenly the island becomes a very strange place, a city of illusion perched above impossibly high cliffs. 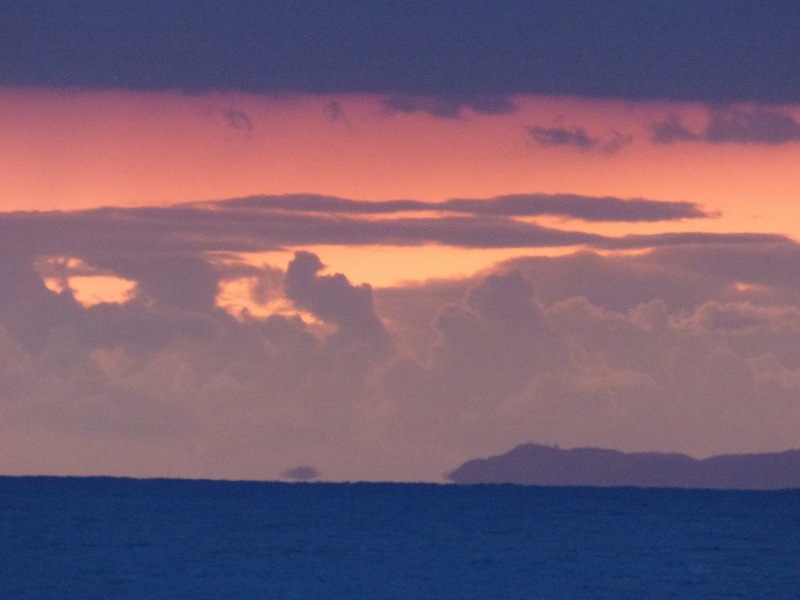 As the daylight fades, bits of the island appear to break off and float away. Anacapa's towering cliffs and jagged rocks lend themselves to bizarre mirage transformations. One of the smaller Anancapa Island peaks appears to have levitated into a true castle in the sky, suggesting M.C. 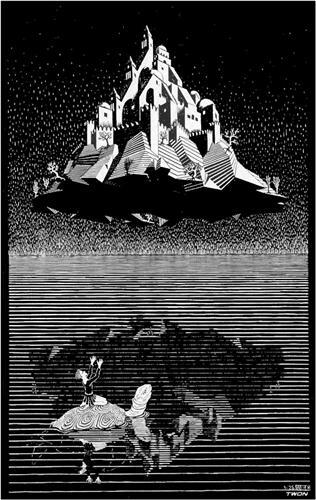 Escher's floating castle, or the legendary floating island of Laputa. 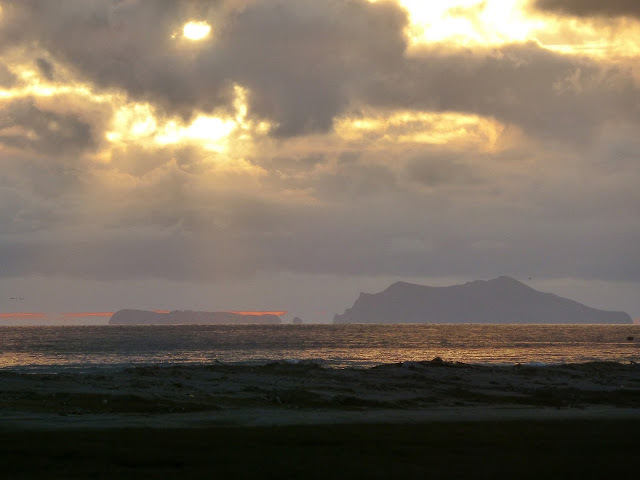 Small, steep and rugged Anacapa, really three rocky islands, is frequently under Fata Morgan's spell. 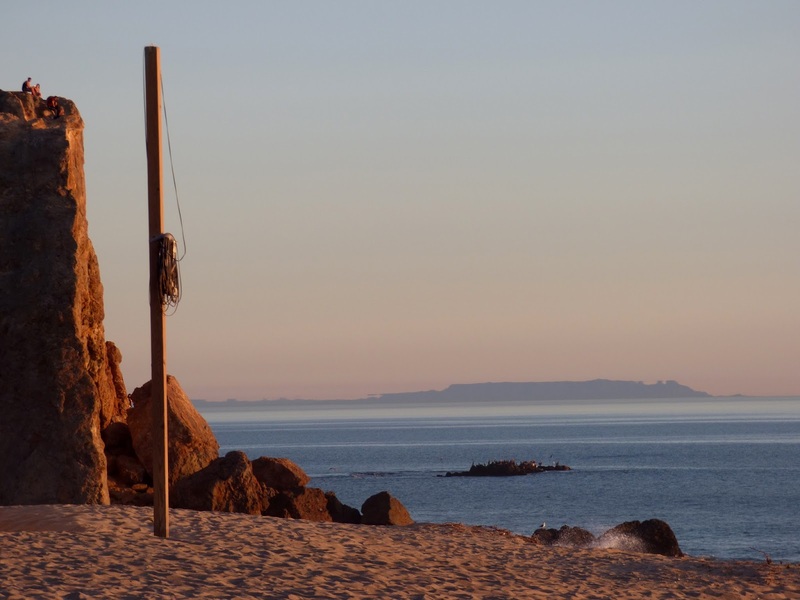 Anacapa is said to mean mirage island in Chumash, but Santa Cruz Island, visible beyond Anacapa, is equally illusion-haunted. Here the closer island is solid, while the outer island frays into another world. 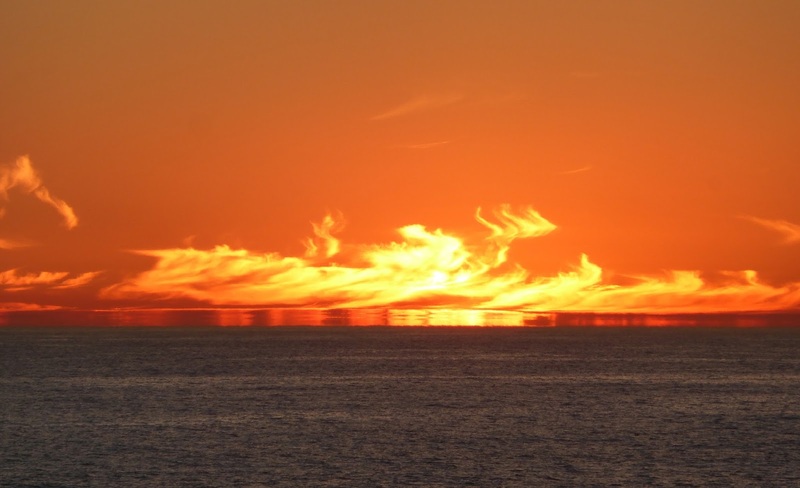 An inferior mirage transforms the islands into a floating world. This is the brilliant filmmaker Hayao Miyazaki's conceptual design art for his floating city in the film Castle in the Sky. 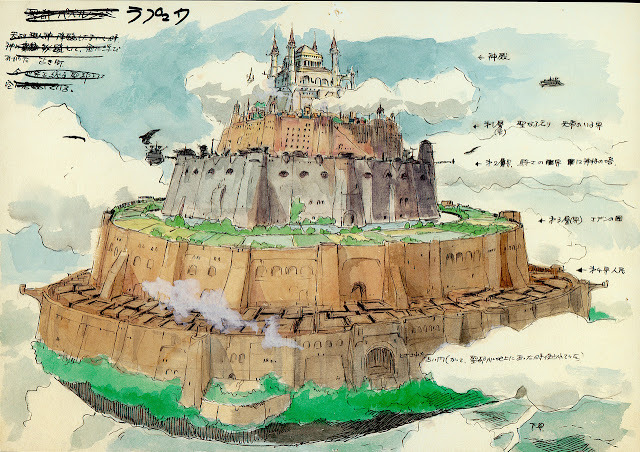 Miyazaki was inspired by the land of Laputa that appears in Jonathan Swift's satirical novel Gulliver's Travels but some legendary floating islands are thought to stem from the Fata Morgana phenomenon. The duct formed by the inversion layer can also act like a magnifying lens. In this photo, the lighthouse on Anacapa Island, more than 11 miles away, appears like a giant's castle atop a mighty mountain. In the Arthur stories, Morgan le Fay, as healer rather than shape-shifter and sorceress, is one of the three woman who accompany the mortally wounded Arthur on his journey over the sea into the west to Avalon. It's probably not a coincidence that Etta Whitney, the sister in law of 19th century real estate speculator George Shatto and a fan of Alfred, Lord Tennyson's newly published Arthurian epic Idylls of a King, named the only city on Catalina Island for that magical land in the west. 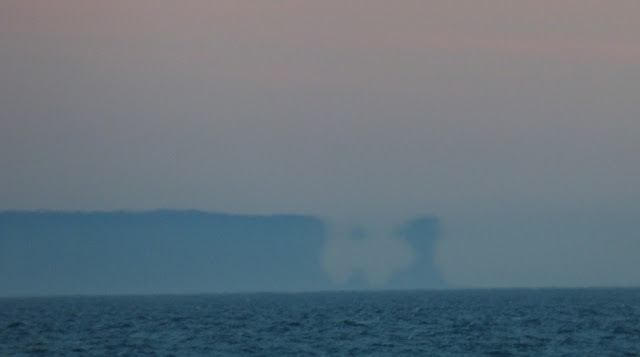 The infamous ghost ship the Flying Dutchman may be Fata Morgana's most famous illusion. The sorceress may also be responsible, in more recent times, for a certain number of UFO sightings. The phenomenon is no longer inexplicable, but it is still wonderfully mysterious and magical to behold. When conditions are right, Fata Morgana builds her castles in the air, offering us a glimpse of the blessed realm of Avalon, or perhaps the gardens of the Hesperides where the golden apples of the sun still grow. Viking mariners feared the dreaded sea hedge, but here Morgana seems to have created the Garden of the Hesperides, where clouds, transformed into golden trees, might bear the apples of the sun. Great piece. KLK, Ancient Malibu Neighbor, Wildlife Rd.